Microsoft developed the $499 Surface 3 in part as a low-cost alternative to the Surface Pro 3. But Microsoft plans to introduce an even cheaper model, which schools will be able to buy at a discount. Microsoft will be offering two deals to schools: a 10 percent discount for those who buy a Surface 3, Type Cover, and stylus as a bundle; and a new “unique Surface 3 configuration” exclusively for educational institutions with 32GB storage capacity and 2GB of memory. The target, it appears, will be the Google Chromebook, which Google has marketed to schools and governments as Apple moves more and more toward premium devices. In a blog post announcing the move, Microsoft cited data that showed that students benefited from handwriting as part of learning, apparently forgetting that pencil and paper work just as well as a digital tablet. But here’s the real reason: According to FutureSource Computing (as cited by Education Week) Chromebooks outpaced sales of Windows PCs to K-12 schools in 2014, 39 percent to 24 percent. More than 3 million Chromebooks shipped in 2014, according to Futuresource. In 2012, Chromebooks represented just 1 percent of U.S. K-12 sales, with iPads at 40 percent. Why this matters: Microsoft’s basic Surface 3 has 64GB of flash-based MMC storage on board, so we’d assume that Microsoft will sell the new version at a lower price. 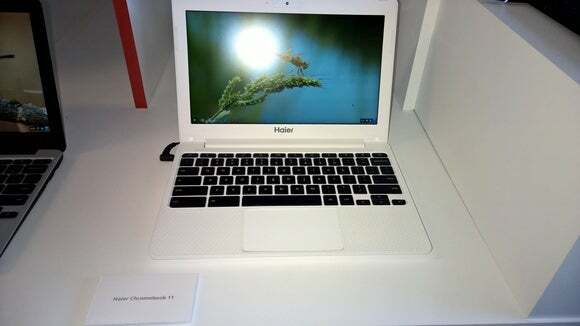 But Microsoft will still have its work cut out for it to compete with the new $150 Haier Chromebooks. Public schools always barely have enough money to scrape by. Case in point: the Los Angeles Unified School District’s recent decision to back away from a $1.3 billion contract to supply each student with an Apple iPad, citing a shortage of funds. The $150 Haier Chromebook. A separate education model will be made rugged and spill-proof. Google executives certainly made education their priority at their recent launch of low-cost Chromebooks, including those made by Haier and HiSense. Haier plans it own Chromebook designed specifically for schools, complete with a spillproof keyboard. 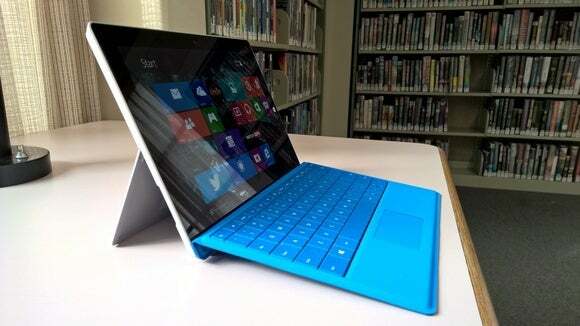 The Broadclyst Primary School and Shireland Collegiate Academy in the UK, the ROC of Amsterdam, the Ministry of Education Luxembourg, Hillcrest Christian College in Australia, as well as University of Phoenix and Chino Valley Unified School District in the U.S. have already committed to buying and deploying Surface 3s, Microsoft said.